What is now the Lackawanna Plaza shopping center was originally built in 1913 for the Delaware, Lackawanna & Western Railroad. It was a six-track station at the end of the Lackawanna's Montclair Branch. It was designed by William B. Hull, who had the building constructed in the Grecian-Doric style. 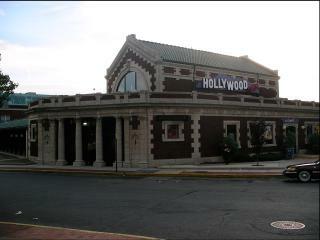 The station closed in 1981 and was later converted into a shopping space containing Pathmark and a few smaller shops. The building is listed on the State and National Registers of Historic Places.